The global patient simulators market is expected to grow at a CAGR of approximately 14% during the forecast period (2018-2023). North America held the largest share in 2017 and is expected to retain its leading position in the forecast period. According to research estimates, more resources are expected to be spent on health expenditure, with a projected 9% increase in GDP, across the world, allocated to health-spending, by 2040. But there will be substantial variation in the levels of health investments. Past trends and relationships suggest that low and lower-middle-income countries will spend the least on health, even when estimates include foreign aid from donor countries. High-income countries are expected to spend approximately USD10,000 per person on health in 2040, compared to the projected USD 2,000 for upper-middle income countries, USD 500 in lower-middle income countries, and USD 150 in low-income countries. This disparity in spending, indicates the huge demand for lowering healthcare costs and providing value-based services. Consequently, patient simulators market is expected to grow, as their increased use will directly contribute to lowering of the overall healthcare costs. Patient simulators are used to derive better patient outcomes, by means of simulation, thereby driving lower healthcare costs. 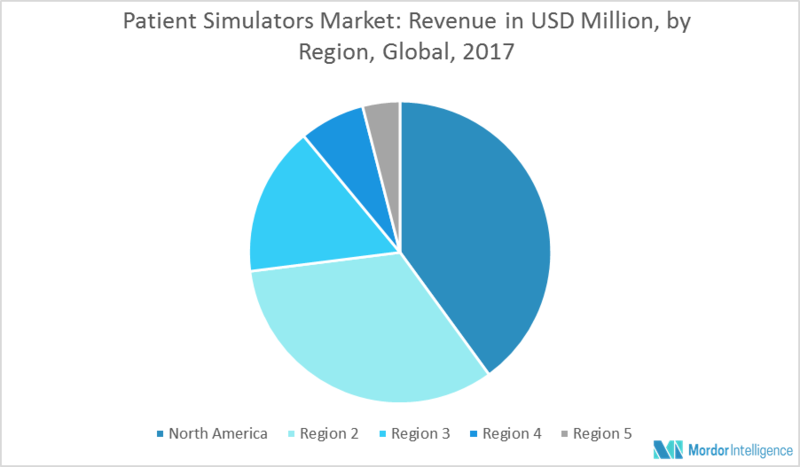 Apart from these, factors like innovation in healthcare and technology, and an increasing focus on patient safety is driving the growth of global patient simulators market. Despite the widespread use of patient simulators and medical simulators in general, the overall funding for the same at global scale is low. Medical simulators are extensively employed in medical academic institutions, hospitals, and defense organizations. Despite such extensive usage, there are few organized sources of funding for the development of simulators. The advancements in simulator technology and software is independently brought about by vendors in this space, with little contribution from government agencies. Consequently, the growth of the market is being limited, due to lack of funding for research and development of simulators. Additionally, factors like high cost of simulators, is also limiting the market growth. The medical simulators did not gain popularity until the recent past, because of the high costs of medical simulators and a reluctance to adopt to the new training systems. This scenario, however, has changed and simulators have become relatively more reliable and function as aids to train medical personnel and medical students, in turn reducing the medical errors. Consequently, the major end users of the patient simulators market are academic institutions. January, 2018 - CAE Healthcare announced the release of CAE LucinaAR with Microsoft HoloLens, the world’s first augmented reality childbirth simulator with integrated mother-baby physiology. January, 2018 - Laerdal Medical announced that it will launch the new SimNewB® and SimBaby™ simulators at the International Meeting on Simulation in Healthcare (IMSH) conference in Los Angeles, CA.